Having previously investigated the gamesmanship of seduction in screen versions of Choderlos de Laclos, Jim Thompson, and Colette, Stephen Frears in Tamara Drewe turns his attention to Thomas Hardy. Sort of. The basis for Frears’s bucolic roundelay is cartoonist Posy Simmonds’s modernization of Far from the Madding Crowd, which ran as a serialized graphic novel for two years and envisioned Hardy’s willful 19th-century heroine Bathsheba Everdene as a new-millennium ugly duckling turned hot-pants swan sashaying among pompous artistes and adolescent thrill-seekers. The narrative switch from the Industrial Revolution to the Facebook epoch, not to mention the variety of mediums involved in the update (novel, comic strip, film), promise something more interesting than this calculatedly saucy Brit-com, a full-bodied and empty-headed creature that gracelessly squashes Hardy’s themes and the characters’ foibles with equal broadness. The setting is an airbrushed version of the British countryside, where wordsmiths gather at a sleepy writers’ resort presided over by Nicholas (Roger Allam), a smug, openly philandering mystery novelist, and his biscuit-baking doormat of a wife, Beth (Tamsin Greig), who virtually has the words “long-suffering” sewn into her apron. 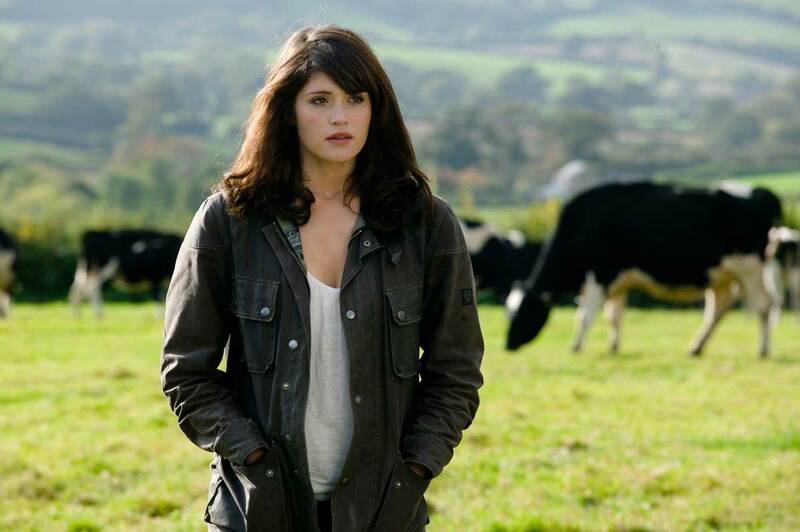 Enter Tamara Drewe (Gemma Arterton), a local wallflower who returns from her big-city sojourn equipped with a surgeon-sculptured nose, her own webzine column, and the ability to inflame every male in sight. Among those trying to get into her denim cutoffs are condescending hack Nicholas, grungily rambunctious rock drummer Ben (Dominic Cooper), and noble-hearted, habitually shirtless farmhand Andy (Luke Evans). A couple of subplots—the tentative courtship between Beth and a bashful American scholar (Bill Camp), the antics of two pubescent pixies (Jessica Barden and Charlotte Christie) obsessed with celebrities—suggest not so much a libidinous community as a film losing interest in its own protagonist. A textbook example of a polished camera trying to camouflage a hollow center, Tamara Drewe showcases Frears not as the piquant seeker of My Beautiful Laundrette, but as the off-key confectioner of Mrs. Henderson Presents. The filmmaker’s nimbleness serves him well in the rare instances when Moira Buffini’s screenplay finds a clever contemporary equivalent for Hardy’s turbulent Victorian details (a military officer’s phallic saber is turned into an eyeliner-wearing rocker’s drumsticks, a clandestine love letter becomes a prankish email). Elsewhere, however, Frears’s insistence on keeping things pastel and breezy gives way to slick caricature, flattening the hardworking cast, fumbling the story’s third-act seriousness, and displaying the kind of Wildean wit that has Camp’s fuddy-duddy Yank comparing writing a book to passing massive stools—an apt metaphor to make in a film so filled with clogged-up artistry and septic cuteness.